There’s nothing quite like the delights of Southern Summers! I love the long days and warm nights, the sound of the katydids at night, watermelon and snapping fresh green beans on the front porch. The best part of the summer for me has been visiting with the grands–ALL of them! Being with them in TN and Maryland has sidetracked my blogs this summer, but what joy for this Nana! A favorite part of the summer for the kiddos is…. 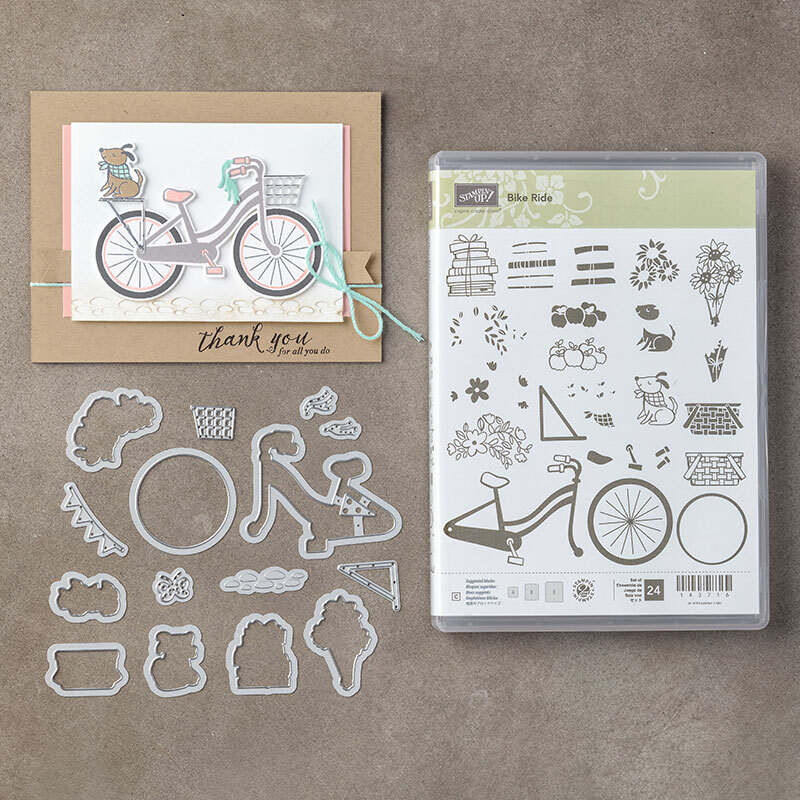 At the Crafting on the Hill Summer Stampin’ Team Party last week, we made a card using the fantastically fun Bike Ride Bundle. I got my first bike for my 9th birthday, and it was BLUE, so I had to make this one blue! I stamped the bike body, tires and rear mount in Pacific Point, one of my favorite Stampin’ Up colors. Bike rims are stamped with So Saffron. The handles, seat, and brake are stamped with So Saffron, but you could also use a So Saffron marker. The basket is the two stamp baskets, both stamped in Early Espresso. The base was stamped full strength, the second stamp was stamped off. 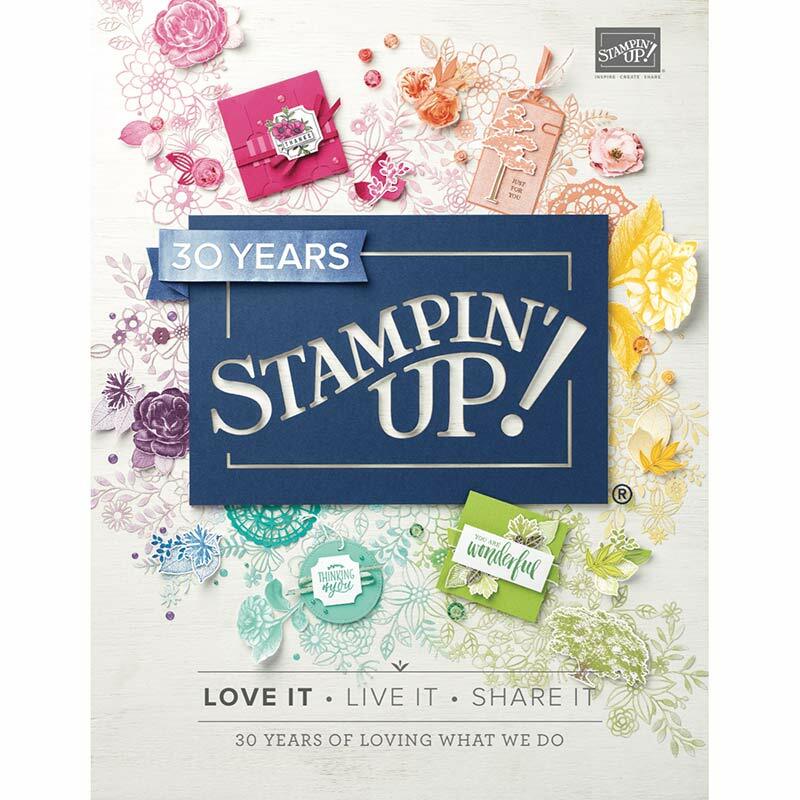 The flowers were stamped in Wild Wasabi, then colored with Calyspo Coral and Wild Wasabi Stampin’ Write Markers. The “road” and the banner are Crushed Curry from the Color Theory Designer Series Paper Stack. The sentiment is from the Birthday Delivery Stamps Set (one of my favorites! ), stamped in Pacific Point. I used the Layering Ovals Framelits to cut out Pacific Point Cardstock and the sentiment. Adhere the strip of Color Theory DSP. Mount the tires on Stampin’ Dimensionals. Use glue dots to attach the bike body and rear mount to the tires, then attach to the card base. Adhere the basket, then the flowers with Stampin’ Dimensionals. On each tire and the banner, I used coordinating Enamel Shapes. Such a great summery card! Paper Pumpkin Alternate Ideas–And Watermelons! The June Paper Pumpkin Kit was One in a Melon and it’s luscious! It was my first experience stamping images of one of my favorite fruits. Yummy! The July Paper Pumpkin Kit is Perfectly Picturesque and it makes some stunning cards. I altered the mountains to look more like the beautiful mountains of North Georgia! I used the Eastern Palace Designer Series Paper–really liked how the colors coordinated. and get access to the refill for this and several other Kits.